The concept of retail personalization has been around for several years. A decade ago, Netflix and Amazon led the industry when it came to personalized experiences for their visitors. Netflix made recommendations based on the visitor's past history or stated preferences — a practice that continues today but was unexpected when it first launched. Amazon was especially adept at using visitors' previous purchases or navigation paths to show items of potential interest to each specific visitor. Other early attempts at personalization included greeting returning visitors by name, enabling site-specific preferences or using different versions of a site for specific audiences. Today, visitors to your website expect far more from you. They want you to value their time, make the shopping experience convenient and prove that you understand them. In short, they demand a relevant, personalized experience. Retailers are responding to their customers' demands in innovative ways like using Drone Technology that harness new technological possibilities. The dawn of the age of big data has made it possible to apply artificial intelligence, or AI, in ways that were once little more than a dream. Stitch Fix, an online styling service, has built its entire business model around artificial intelligence. The company uses AI to select clothing and accessories based on each shopper's budget, lifestyle and personal tastes. Stylists, supported by over 60 data scientists, select five items to ship to each customer; the company states that the personalization is so thorough that no two customers have ever received identical shipments. Customers try on the items in the comfort of their own homes, keep the ones they want and return the rest. Feedback from customers helps the machines "learn" so that every shipment can be tailored more successfully. The marriage of AI and humans has proven extremely successful for the company. More than 80 percent of their customers place a second order within 90 days. About 33 percent of their clients devote 50 percent of their total budget for clothing to purchases from Stitch Fix. Applying artificial intelligence allows marketers to harness the power of big data and algorithms to discover patterns. It can be used for customer acquisition as well as for repeat business. At its core is the concept of machine learning, or using the principles of probability and statistics to compute a solution. This means that the machine can adjust responses based on data to ensure that each individual receives the right message at the right time and through the right channel. 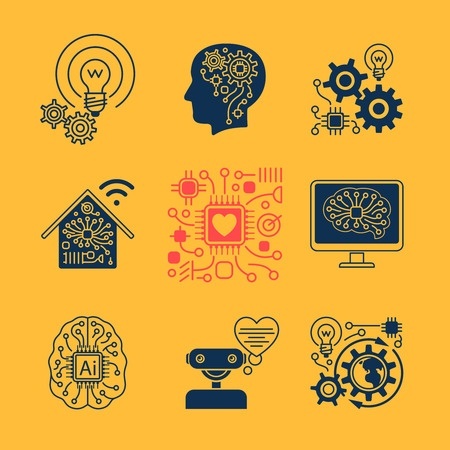 Although the idea of AI may seem daunting, it provides you with a powerful tool to deepen your brand's relationships with every customer. As your efforts become increasingly personalized, you can enhance your customers' loyalty. AI can help you differentiate your message from the hundreds of other marketing messages and ads that shoppers are exposed to daily. If you are just starting to use AI for personalized marketing messages, these three tips may help. Include third-party data. Although it is likely that you already have a great deal of information about your customers, you will need to include as much data as possible from third parties to obtain a complete view. Simple demographics can help, but you need more. Information such as price sensitivities, social media activities and the shopper's most active times can help you gain a better understanding of your customers. Do not let the data overwhelm you. It is common for retail marketers to discover data silos scattered throughout the organization. It can be challenging to just figure out how it can be consolidated so that you can extract meaningful information. If your internal resources are insufficient, outsource the task to a technology partner with the appropriate expertise. Do not overlook possible channels. Retailers have had great success with personalized email campaigns to drive sales at both physical and online stores. However, personalization can be effective on a number of other channels as well. Mobile is an excellent vehicle for pushing offers and timely promotions, especially when coupled with proximity beacons. For certain demographics, including millennials, the social channels are the place to be. Thanks to AI, personalization has become the future of marketing. However, you do not have to launch a massive initiative to benefit from AI. You can have a huge impact by tailoring your initiatives to a specific audience, channel or promotion at a time. Got technology challenges? EX Squared Solutions is the web, mobile, kiosk, CMS & IoT development partner you’ve wanted to work with. Whip-smart technical problem solvers, no-B.S. project leaders, inventive design thinkers, and rock-solid production ops… our digital transformation teams generate world-class results for businesses just like yours. Ask us how!